We’re Alive…We Have a Shadow! As I took the picture I recognized its shadow behind it and smiled to myself. 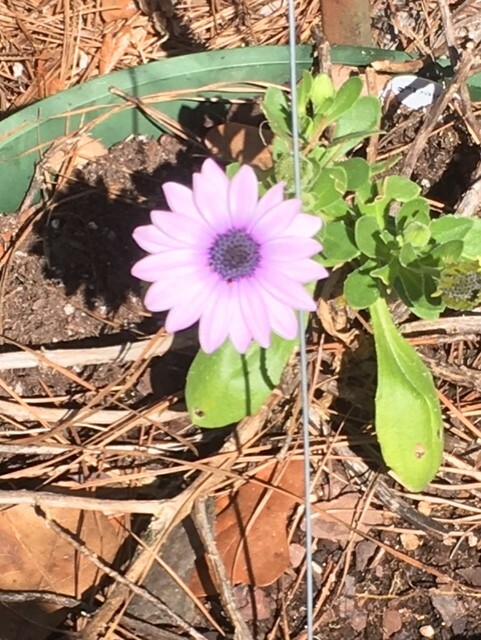 How proud this little African daisy must be…to pop up for the first time this year and be alive…so alive it can have a shadow. 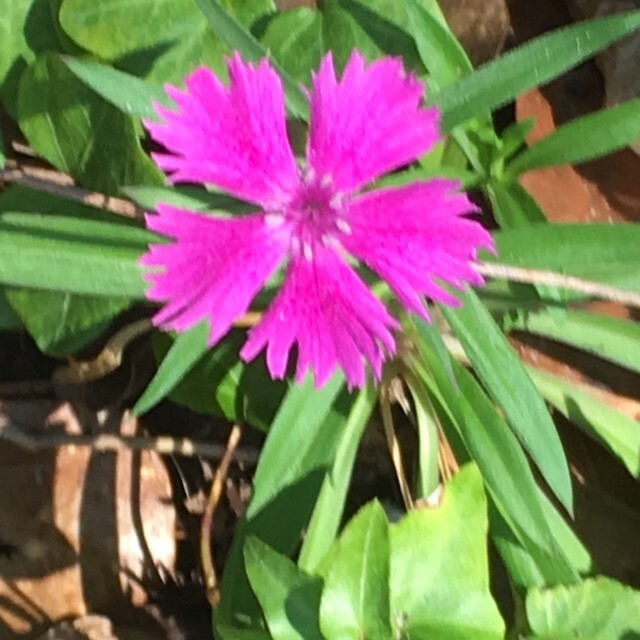 That was an “aha” moment for me…one way we can tell if we are alive and on top of the ground is that we can make a shadow. Shadows and life go hand in hand. 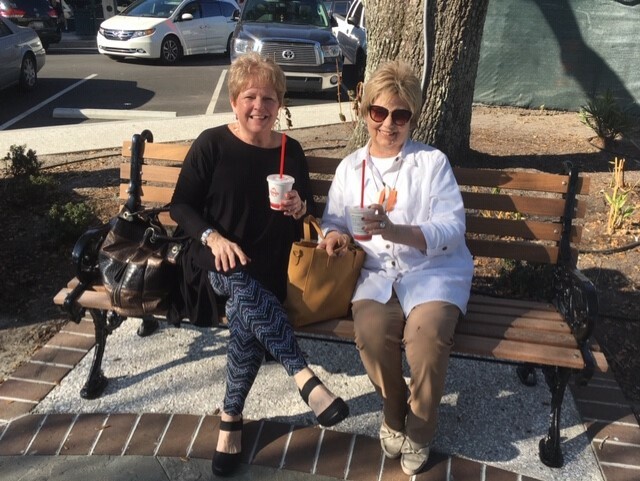 Gin-g and I decided to have a “snapshot adventure” on this gorgeous day…getting our favorite chocolate milkshake from Arby’s and returning to Hutchinson Square….to sit around the fountain and catch up on our own memories of Summerville and this square. For me it played an important role in my life…from Scarecrows on the Square, my ghost storytelling I did for about two decades each Halloween and then watching Mandy’s art classes compete each year for the winning Halloween display. Lots of fond memories. 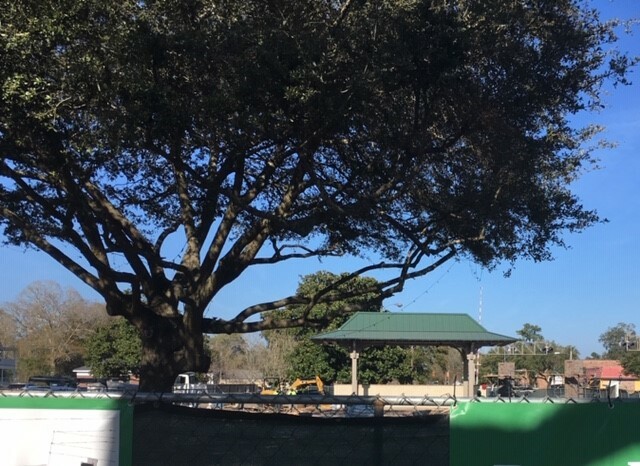 I believe the town is trying to keep the final section…around the train depot pavilion…a secret. But I climbed up on the cement border and shot this picture over the fence that surrounds it. Still just a hint of what is to come. And it does look like it will be complete before the end of the month! We, also, went in several unique merchandising shops around the square…Summerville is so blessed to have such a diversity of local shops. I even found a Valentines card for Sammy the Cardinal to give his wife…but everyone will have to wait until Valentines Day to see it. Gin-g told me about a fun scavenger hunt for children the Visitors Center has that I want to try out with the grandchildren. It involves birds…finding them…not the live ones…the architecturally building decor kind. We found some…but don’t want to give away the fun. 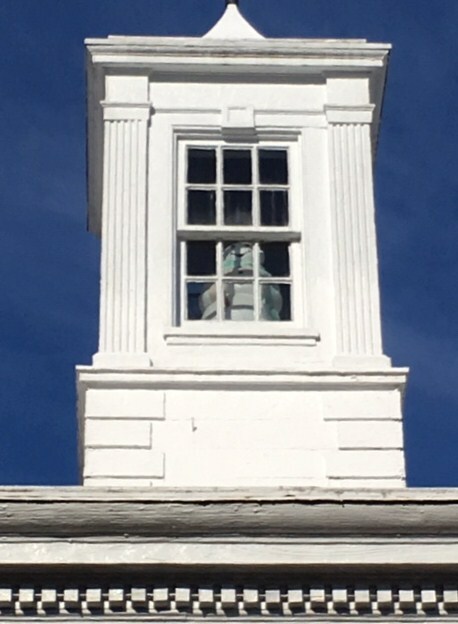 And never tell the children about the whereabouts of the snowman…they must find it on their own with your own scavenger hunt perhaps as the grand finale ….he does exist…always looking down on one section of the town. Here are some photos of the garden before I left to pick up Gin-g and other photos taken walking and riding around town. 6 Responses to We’re Alive…We Have a Shadow! I enjoyed our outing so much…so refreshing to be with you on a beautiful sunny afternoon. I love your daffodils…my favorite next to zinnias because of their bright color. Loved hanging with you…need to plan our next adventure. Becky has the best friends. I am truly blessed with wonderful friends…I have to pinch myself some times! 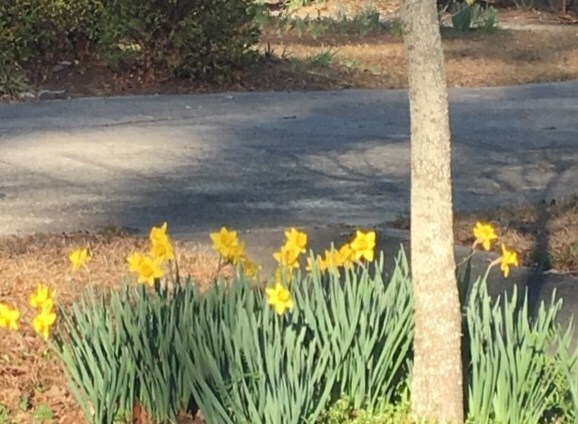 Caught the photo of the daffodils on the way home actually…mine are late bloomers…just starting to peek up over the ground. 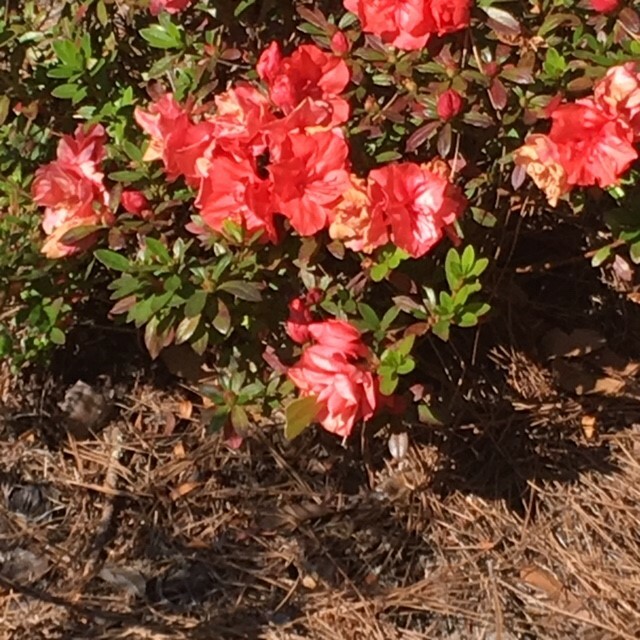 What fun yesterday…love just wandering around on a beautiful day don’t you…with great company! One of my stamps says….Keep your face to the sunshine..that is what the sunflowers do. We do have sunshine today but after 80 yesterday it is now 36. Crazy weather! That is true…it is exactly what the sunflowers do. We are about to get the crazy downhill side of the weather this weekend too…elevator weather!